As a new year unceremoniously kicks us in our collective groins and barks at us to get back to work/school/being poor, we can look back on 2012 and the gaming stories it brought with it. There were public relations nightmares, development companies going under, and a ton of terrible games. On the bright side, though, whilst many game collections might have felt somewhat devoid of great titles earlier in the year, the final quarter of 2012 saw the release of some real corkers. What follows is a list of my personal favourite games of 2012, and the reasons for such choices. While this might seem like a controversial decision for obvious reasons, I still firmly believe that 90% of Mass Effect 3 was fantastic. With the most streamlined combat the series has seen, deep yet simple to use customization options, stellar character and level design, and brilliant writing for established characters, I can�t help but look back fondly on most of ME3. Also, I thoroughly enjoyed what turned out to be a surprisingly solid multiplayer mode in Mass Effect 3, so much so that I played it for 100+ hours (not something I do regularly). by now), there weren�t enough interesting squad members to pick, and James Vega, but despite all of these problems, I still firmly believe Mass Effect 3 was one of the best games of 2012. Drew Karpyshyn would have made that ending work though. controversy after reportedly �racist comments� made by developer Phil Fish. Despite its misgivings though, FEZ managed to deliver one of the most unique and awe inspiring platforming experiences you could ever hope to have. The game was essentially one of the most mind bogglingly inventive gameplay mechanics wrapped up inside breath-taking, retro visuals, an insanely catchy soundtrack, and some of the finest level design imaginable. It may not have set the world on fire like a lot of people were expecting, but, to me; FEZ was a refreshingly beautiful splash of colour in a murky sea of brown. So rarely does a game manage to provide the thrill of brutal violence whilst simultaneously making you care for the characters or the narrative within said game. The Grand Theft Auto series tries, but often struggles to create sympathetic characters out of people who are essentially ultra-violent sociopaths. Enter Hotline Miami, an unnerving, frustratingly fun, dark, edgy and overtly shocking top down 16 bit splatter fest. Even describing the game is fun. 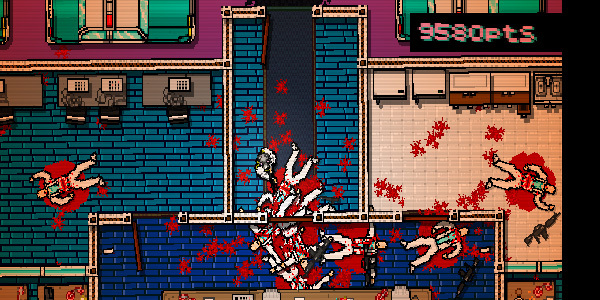 Hotline Miami follows an unknown protagonist as he mindlessly slaughters people. Why does he do it? He�s been brainwashed into it. Such a simple plot device allows the player to commit atrocious acts of violence whilst still feeling connected to the main character. games to be found in console space, and even fewer are worth writing home about. 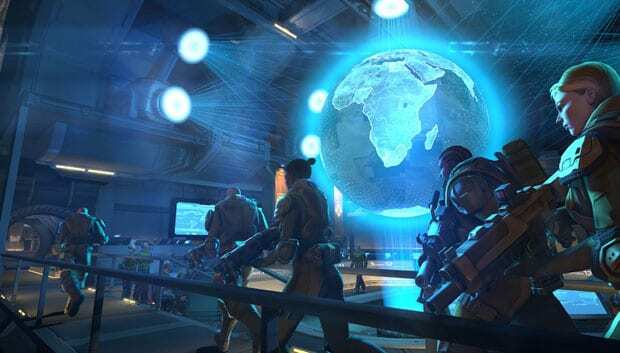 XCOM: Enemy Unknown manages to bring deep yet accessible strategy gameplay to consoles and it makes it work, even up to the point where some players prefer the console controls to the PC alternative. Not only that, XCOM also managed to revive a franchise many people once cherished, without resorting to excessive dumbing down of gameplay elements. Playing Enemy Unknown reminded me of my childhood days; assembling Action Men to embark on treacherous missions to stop Dr X. Each Action Man had a story, a life, a background, none of which was provided by the toy company; I simply improved upon the blank slate they had given me. in doing so created some of my favourite gaming moments of 2012. Could it really be anything else? Looking back (through my special time window) to the end of 2011, I never would have thought that an episodic, point and click adventure spin off of a franchise I was only mildly interested in would be my favourite game of the year. Despite the respect and adoration I hold for such games when done right, I really didn�t envision The Walking Dead being the gripping, emotional revival of adventure games it was touted as. How wrong I was. No other game this year made me laugh, cry, scream and curse as much as The Walking Dead, and no other game managed to craft an emotionally engaging story so effortlessly either. The most important thing for any game to achieve is to impact you emotionally, but thanks to lazy writing, poor characterization and a general lack of good storytelling, few games managed to succeed at this. The Walking Dead is a game changer, and might even be the answer to a lot of the problems the games industry has today. It has helped to popularise the downloadable market, indie studios, episodic gaming and may have even drummed up interest for future adventure titles. Despite all of these grand claims though, what matters most is: the story of Lee and Clementine is one that I will never forget, a story so honest and heart breaking, it is un-paralleled. Agree/Disagree with my choices? Why not tell me in an appropriate, civilized manner? I�m always happy to debate any opinions about games.